This special will not last long. Why is this on Special? Because the size tag is incorrect. From the factory the size tag reads the wrong size. You get the bennifit from the mistake. If you order the Medium or Large size DO NOT pay attention to the tag, the size is wrong! 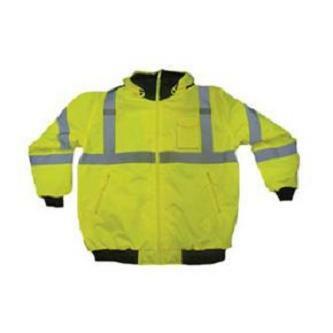 Medium Chest size 37-40 Height of person about 5'6" to 5'9"
Large Chest size 40-43 Height of person about 5'9" to 6'0"
This jacket has a zip in fleece liner, once the liner is out the jacket is a mesh liner. This is really a great product!